I reported him and said I wanted my money back. No respond so I gave him negative feedback and after a long while I did get my money back. 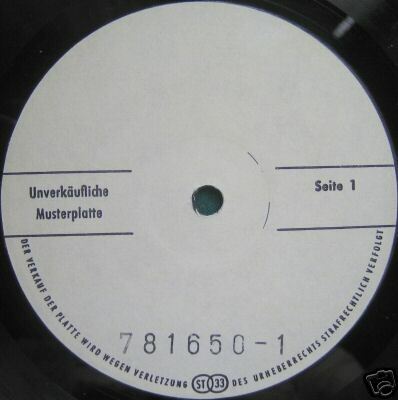 During this time I had contacted several other of the people who had won his auctions and some of these also had discovered he was selling fake white label copies. One of these also informed me about didac20050 and when I looked at his listings they were very similar. Both sellers were located in Barcelona. 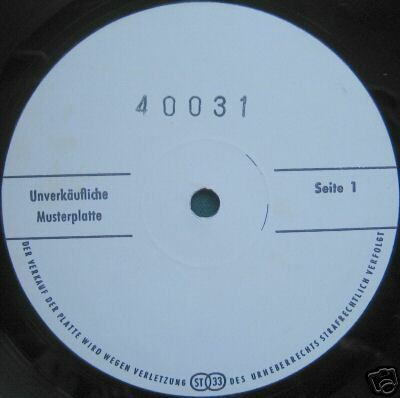 "Have a look at the different German Test Press they both offer, Zeppelin & AC/DC titles. 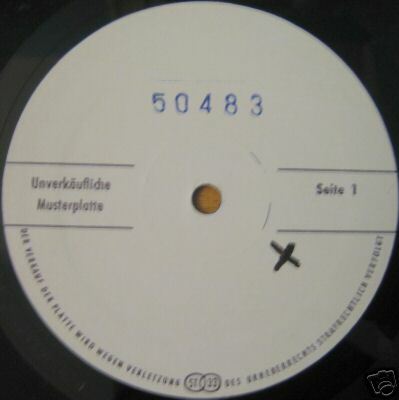 Now it's tricky because the normal German test press look exactly like this (this writing/layout) so I'm not sure if they simply apply a printed sticker label over the bleached stock label (those are available, and they are pre-punched so no need to worry about a perfect hole as I have read). 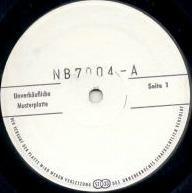 Now look closely, and you will notice on a label the "first 1" round" around the hole which is usually elevated or mis-aligned with the rest of the label, (this is quite common), and sometimes a tiny piece of vinyl appears around it, making parts of a black circle on the edge of that "first round." Nothing unusual here, except that these incomplete black circles are exactly the same for all labels!!!!!! Simply impossible for it to be a coincidence. This has be to be printed on the label to give the illusion of a "real" one".